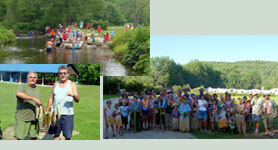 Northstar Campground with room to roam is located in the tranquil woods of central New Hampshire. Northstar Campground is a peaceful retreat from today's busy world. Whether you camp in a tent, pop-up, trailer or an RV, we have spacious campsites that are sure to please. Choose either grassy meadow or large wooded river sites. Camping at Northstar offers you friendly family atmosphere and a chance to explore the scenic Lake Sunapee region. * Seasonal Campsites Call for Info. 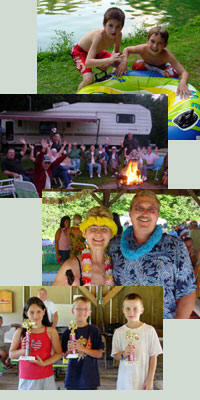 Copyright© 2013 NorthstarCampground.com All Rights Reserved.